We have five lovely new middle-grade novels to share today. Each of these stories has a little bit of magic. Every one of these books is absolutely enchanting and not just because of the enchantments. In the basement of The Dreamcatcher Bookshop Sophie's parents distill and sell dreams. When Sophie was six, she drank a dream and discovered she can bring things out of dreams. On that day, she promised she would never drink another dream and she would never tell anyone what she could do. She kept those promises until her parents were kidnapped on her twelfth birthday. Sarah Beth Durst created an imaginative worlds where dreams can be shared and brought to life. I loved Sophie's spunky nature and Monster's sarcasm. The dreams and nightmares we get glimpses of are interesting and unique. The Girl Who Could Not Dream is out November 3rd, 2015. Review copy from BEA. Pram has one friend and he is dead. Due to the unusual circumstances surrounding her birth, she has lived her whole life with the ability to see ghosts. Things begin to change when she starts public school and makes friends with a boy named Clarence. He is mourning the death of his mother, and his search for answers leads Pram down a dangerous road. 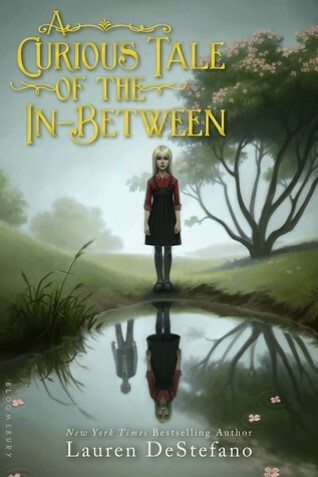 A Curious Tale of the In-Between fits beautifully in the middle-grade genre. The themes and problems are real and intense but still age-appropriate. I love how much Pram cares about her friends, alive and dead, and seeing not only her growth, but her aunts' growth. Lauren DeStefano has created a creepy, charming, lovely middle-grade novel. Out September 1st, 2015. Review copy from BEA. In small town Texas Kai finds an empty book titled The Exquisite Corpse. Across the world in Pakistan Leila finds a second copy of the same blank book. When the girls write in it a story magically appears. 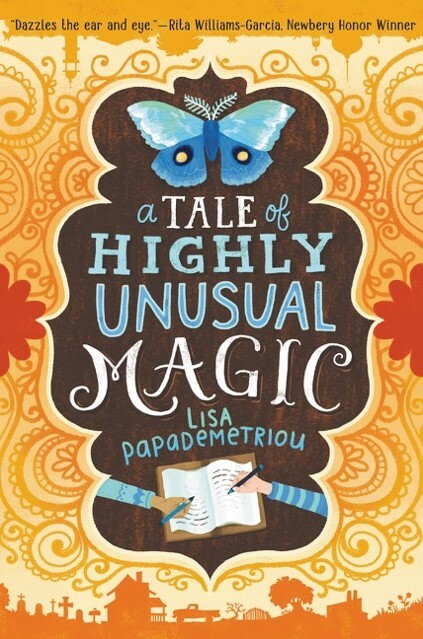 A Tale of Highly Unusual Magic is the type of middle grade book that I love best. It is sweet and charming with plenty of quirk. The book got better with every page and, as I began to see how the three stories would come together, I became more and more delighted with Lisa Papademetriou's story. I also love the details in this book from a town obsessed with moths to American Casket to the ties with Rudyard Kipling. Out October 6th, 2015. Review copy from Edelweiss. In Dumfrey's Dime Museum of Freaks, Oddities, and Wonders lives a collection of freaks who perform for crowds nightly. The youngest four performers are more than just oddities; they have real powers. When Dumfrey's prized shrunken head disappears, leaving disaster in its wake, the four orphans set out to solve the mystery and save the museum. Lauren Oliver truly captures the relationships between the four main characters. They are each interesting, different, and crucial to the story. The mystery had enough red herrings to throw me off the scent for much of the book (which I appreciate). 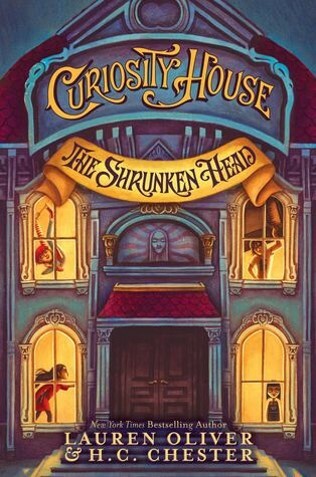 The Shrunken Head has plenty of mystery, fantasy, oddities, and magic to keep even the most reluctant reader hanging on every word. Out September 29th, 2015. Review copy from Edelweiss. Silly's mom is really sick right now, so Silly and her older sisters Marla, Astrid, and Eleanor take refuge in their magical closets. However, while the closets provide a haven from their home life, they are also unpredictable and maybe a little dangerous. 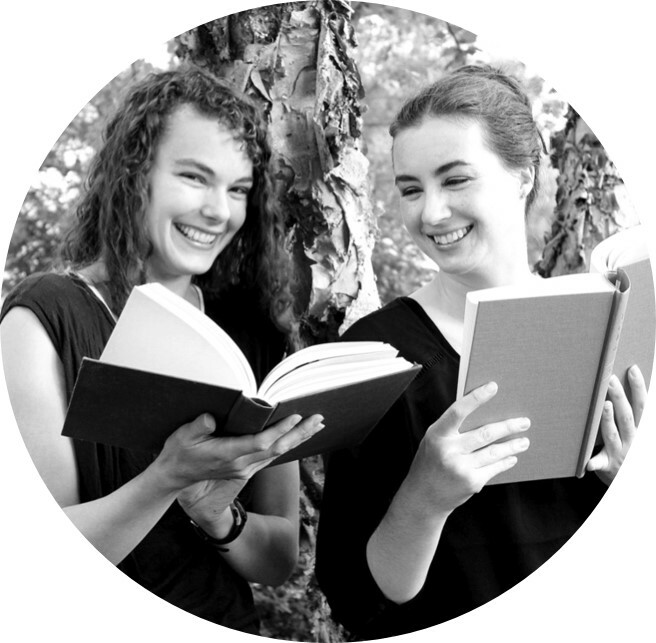 Rules for Stealing Stars is a story of sisters, growing up, and a tragic home life. 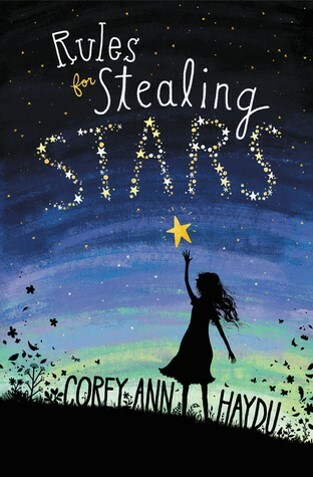 Corey Ann Haydu perfectly conveys the painful reality for these sisters, the joys and sorrows of siblings, and the hope of the young. At times Rules for Stealing Stars was so hard to read. These girls are hurting, and they don't know how to deal with their pain. It is such a powerful story. Rules for Stealing Stars is out September 29, 2015. Review copy from Edelweiss. 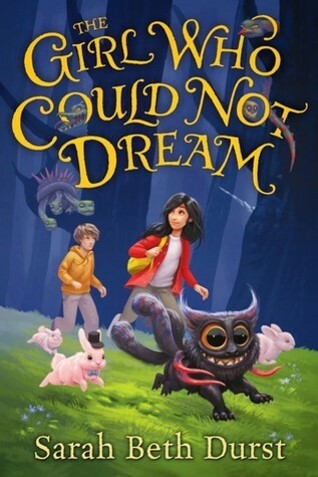 The Girl Who Could Not Dream, A Curious Tale of the In-Between, and The Shrunken Head reviewed by Paige. A Tale of Highly Unusual Magic and Rules for Stealing Stars reviewed by JoLee.